There appears to be a continuous demand for web developers as more and more services become available online. With the growing need for them, it’s making resources even easier to access online and help to develop skills to perfection so you can kickstart an illustrious career in web development. 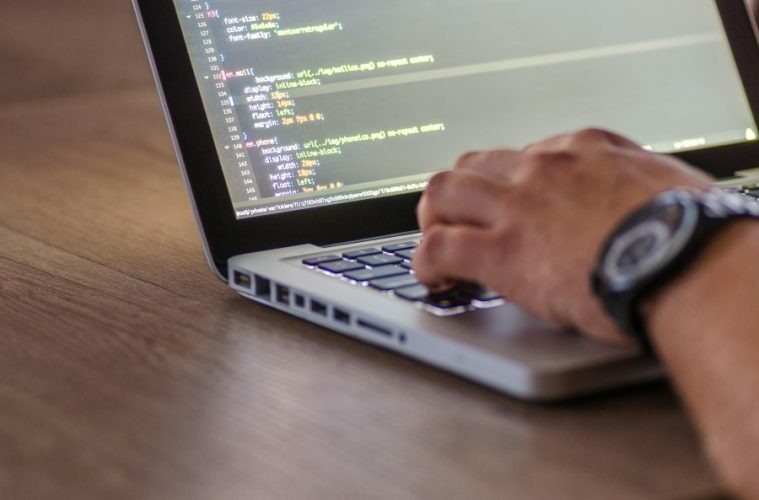 If you’re unsure of where to start, we’ll help to bring some useful tools to your attention to get you going so you can jump on board with the booming web developer industry. Feel like coding confuses you a bit? Not to worry. Muse introduced by Adobe allows you to create websites that look beautiful without having to fiddle about with coding language. More for aspiring web designers, this handy tool will allow you to bring out your creative side, providing the freedom of using tools that help to create an easy and responsive site. The HTML code is generated automatically by the software once it’s published making it an efficient software for users who are worried more about the design and how it looks. We probably gave you the easy way out with our first useful tool, but you’re definitely going to need to know about coding and be expected to do a lot of it. Therefore you need software to learn from it. Visual Studio Code is a source code editor which is the main tool you require to edit and write code for websites. The difference between editors is that they all try to fit in features in their software which makes it simpler for coders to use. It has an easy-to-use interface which is easy to navigate and has the added feature of GIT control, which means you can track changes to a website easily. A unique feature of the software is ‘IntelliSense’ which is a code editing feature that can efficiently autocomplete coding based on it’s embedded variables. For those looking to take a career in front-end design and web development, Dev Tools from Chrome should be one of the first tools on your list. Easily accessible through your browser, Dev Tools is main use is to inspect websites and how they’re built. Being a beginner, it gives you the chance to explore how a page is built and designed through the different codes. It can also be great to identify debugs which are problems that can prevent the website from producing its optimum performance. Another front-end developer tool for those looking for an easy way to create websites. The software makes CSS (Cascading Style Sheets) language simple, mainly because they skip most of it. Bootstrap provides CSS templates meaning the design of the page is already done for you, creating easy responsive design websites across all devices. Being an open-source software it’s easily downloadable and with basic knowledge of HTML and CSS, it’s available for anyone to get started with. There’s been a major rise in mobile-first projects since Google’s initiative to introduce mobile-first indexing, so being a whizz on Bootstrap will be encouraging for developers creating mobile websites will be in high demand. There are many vector graphic editors out there allowing you to create graphics, images, and logos for projects. The most common one you might be familiar with is Adobe Illustrator but the added cost can be off-putting when you’re first starting out. Luckily free alternatives like Inkscape are available to you. Simply put, Inkscape allows you to render plain shapes such as stars, rectangles, and spirals and turn them into professional logos and designs for businesses and marketing. Inkscape offers an easy to use interface as they continuously look to improve its usability. Web development is a growing industry, with higher demand for developers across the globe. Open source tools are a great way for developers to learn their trade and more are being released due to the realization that web development is needed more than ever. It’s continuing through the technology sector where further research goes into creating new ways for us to engage with devices. As such the web is becoming progressively complex as design grows through mobile app development, gaming and others, therefore requiring expert app developers, web developers, UX designers and many more within the sector. Jamie Costello is a student and aspiring freelance writer on the topics of technology and mobile app development. In his spare time, he likes to play computer games, read and swim.